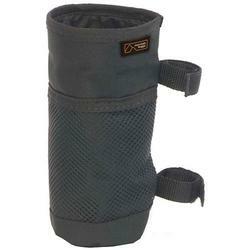 Keep water close to hand with the mountain buggy bottle holder. This all purpose drink holder fits any standard water bottle and easily clips to the handlebar of your mountain buggy stroller. Your mountain buggy stroller came complete with a bottle holder, but if you'd like an extra, this is the bottle holder for you!